Fleet management is the administrative management of vehicles by the companies using them with an aim to improve efficiency, reduce cost, and maintain governmental regulations rightfully. Fleet management can include management of commercial, regular or specialist vehicles like trucks, vans, cars, and trailers; private vehicles that is the grey fleet; aircraft and aviation-related fleets; ships and voyage related fleets, as well as rail rakes. Fleet management encompasses a range of functions like vehicle financing, vehicle maintenance, tracking and diagnosis, human resources and logistics, speed management, fuel management, and environmental efficacies, as well as safety regulations. Fleet management reduces or minimizes the risks which might be associated with vehicle management or vehicle efficacy offering full compliance to governmental regulations. As most of the large-to-medium scale industries are connected to transportation and fleets in some way or the other, fleet management market trends are growing exponentially. Certain market statistics justify this exponential growth rate. According to research reports, the number of fleet management units deployed for commercial vehicles in Europe increased from 3.05 million in 2012 to 6.40 million by the end of 2017. At present, the global fleet management market is growing rapidly. The market was recorded to be quite high and the value is expected to reach a milestone by the year 2024. Thus major growth can be estimated in the fleet management market in the coming 5 years. The primary reason behind such an increase in the market, amidst a stalled global GDP, is the steady growth in the automotive industry. Major automotive giants of the world like the USA and Europe over the last couple of years have shown a steady rise in demand for cars. In the United States, the sale of commercial vehicles from the eight top companies have shown a significant rise in this financial year as compared to previous years. The mighty European market also shows a steady growth of this particular sector. Until now, the automobile market of Europe was dominated by either private or corporate customers. However, in the last couple of years, it has been estimated that two out of three new cars are sold to the corporate channels. Majority of these vehicles are registered as carpools or delivery fleets or gifted to employees as an incentive, or some other corporate purposes all collaborating to the segment of ‘true fleet’. This rise in fleet management can be reasoned from a customer’s perspective as well. For a customer, the total cost ownership (TCO) encompasses the ‘cost of saving potential of the consumer’ and the ‘reduction in operational expenses’. If one estimates, depreciation takes up the largest part in TCO while interest rates, fuel cost etc. make up another part, while the rest is used up in maintenance, services, tires, and additional services. Thus, a rough estimate shows that about 40 percent of TCO is used up in the vehicle while the remaining costs are incurred during the usage itself. Outsourcing of fleet management services has become a major trend in the market, as by outsourcing, companies can focus on their core business without worrying about transportation. As companies expand at a global level, hiring fleet management services makes it easier to manage local compliance without having to spend time setting up a separate fleet management division. The fleet management industry offers some lucrative career options for those interested in a profession in this fast growing industry. It would be imperative to keep certain aspects in mind to excel in this industry. 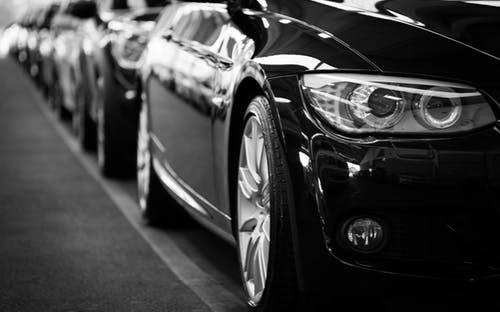 Pricing structure: When it boils down to dealing with vehicle lease, knowing the operational structure and specific terminology turns out to be crucial. Terms such as dealer invoice, floor plan, and fleet incentives are important and knowledge on these aspects will help in gaining a competitive edge over market contemporaries. Remarketing: Any fleet or car will inevitably undergo depreciation. Quite naturally, that’s when a fleet manager needs to understand the targeted channels for resale as well as remarketing. Automobile dealership: Owning an automobile dealership can ensure prospective growth for individuals. Experienced and talented fleet managers can embark on this career path. Ensuring safety standards for both drivers and vehicles: Safety comes as the perennial concern for any organization or individual. Until the last decade, the trends for a fleet management company was to keep their field workers working full-time in the field. Since most fleet drivers drive more miles than average, achieving the safety balance and prohibiting the use of cell phones while driving becomes increasingly difficult. For this, a proper driver management regime needs to be implicated where the behavior of the driver, installing backside cameras, proper wages, and insurance coverage need to be included. Lower fuel prices: As the crude oil prices have lowered from the first quarter of 2019 and are expected to stay at the same level, standardization in fuel management policy should be brought in by the management agencies. Although most companies already have strict fuel management policies, yet some implementations can be enforced upon. Technological intervention: The most common form of fleet management utilized nowadays is the tracking of the vehicle. In most cases it is done by GPS tracking however GLONASS (Global Navigation Satellite System), cellular triangulation platforms can also be used for better tracking records. For vehicles traveling to remote locations or in case, the management wants accurate real-time locations satellite tracking can be utilized. Apart from these common aspects, regular health checkup of the driver, maintenance of the car, prohibiting overloading, paying attention to tires, and abiding by governmental policies are other factors that fleet management market should regularly emphasize on for keeping this growing demand intact. The post A Complete Analysis On The Fleet Management Market: New Trends, Share And Size appeared first on erpinnews.